For centuries the locals of Costesti in Romania were aware that some of the boulders in the region appeared to grow and might even be alive. Word spread and visitors started to arrive from far and wide. 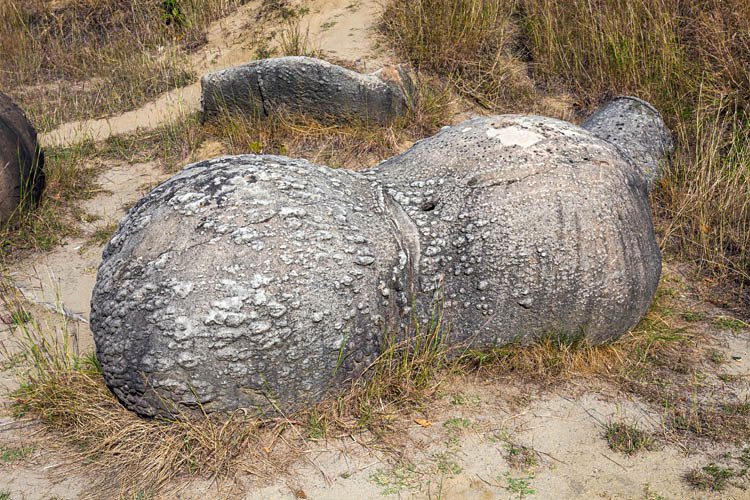 In 2004 the Trovants Museum and Natural Reserve was established to protect these strange “growing stones”. 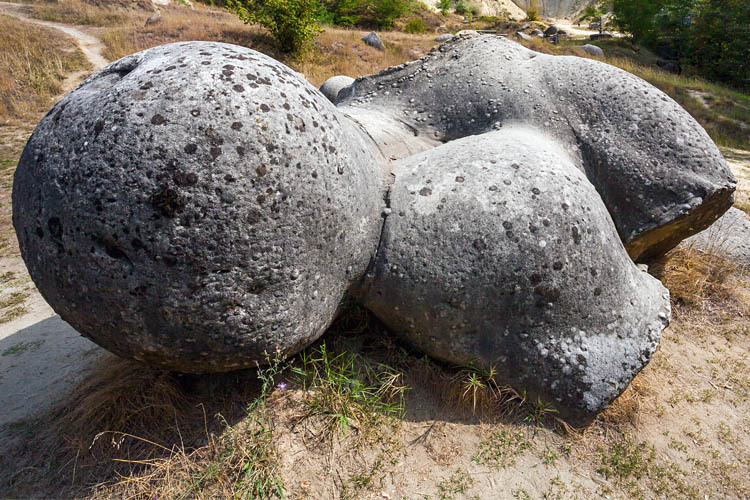 Due to the rarity of these boulders the area has also been recognised by and protected by UNESCO. Scientific study of the Trovants has revealed that they do ‘grow’ in certain conditions but this is most likely due to a chemical reaction that takes place between the layers of deposited sandstone and the mineral carbonates in the presence of rain water that causes the shell to expand. When cut open these Trovants revealed that they had spherical and ellipsoidal rings similar to those found in the truck of a tree. However, to date, there is no evidence that the phenomena is in any way connected to live creatures such as the stromatolites of Australia which do indeed create boulders in shallow waters. There have been claims that during periods of heaving rain the boulders have moved of their own accord. This claim has not yet been scientifically verified. The spherical – almost biological – shapes of the Trovants are believed to date back to a series of paleo-earthquakes that once took place in the region.